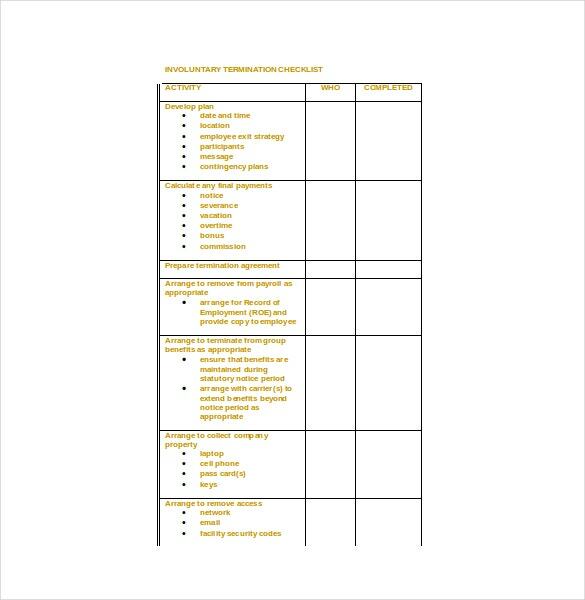 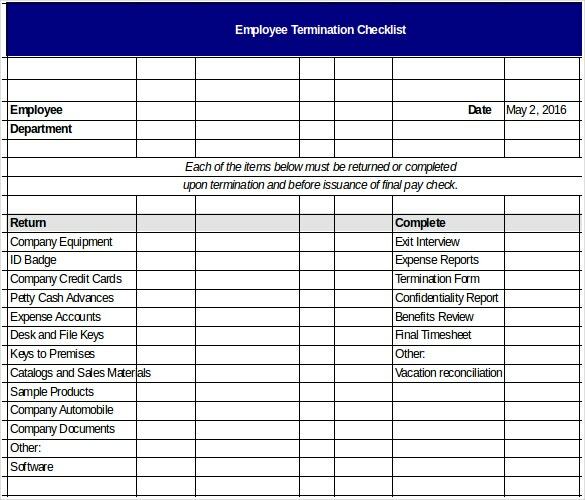 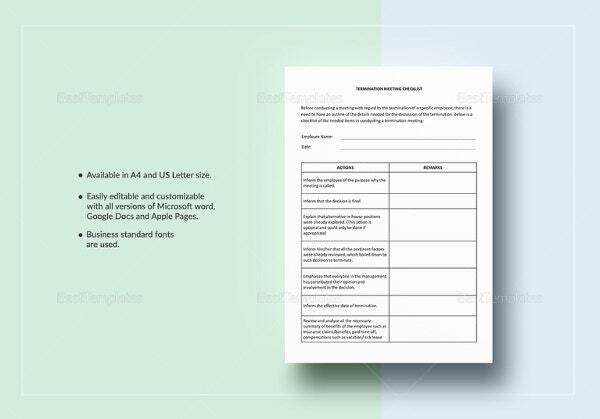 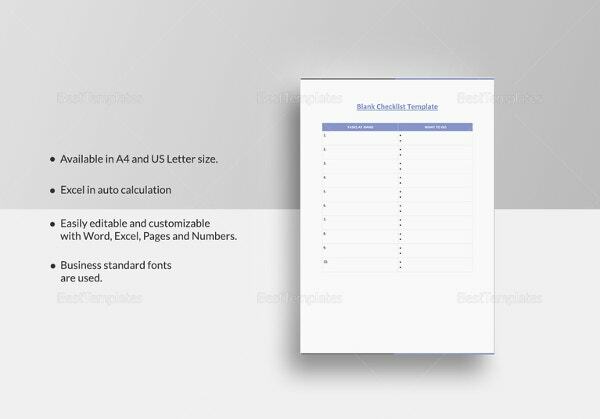 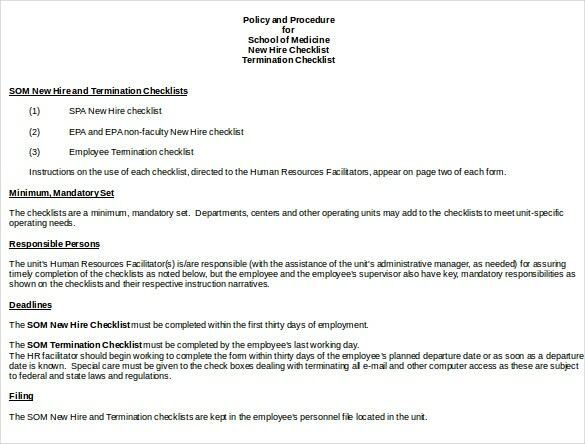 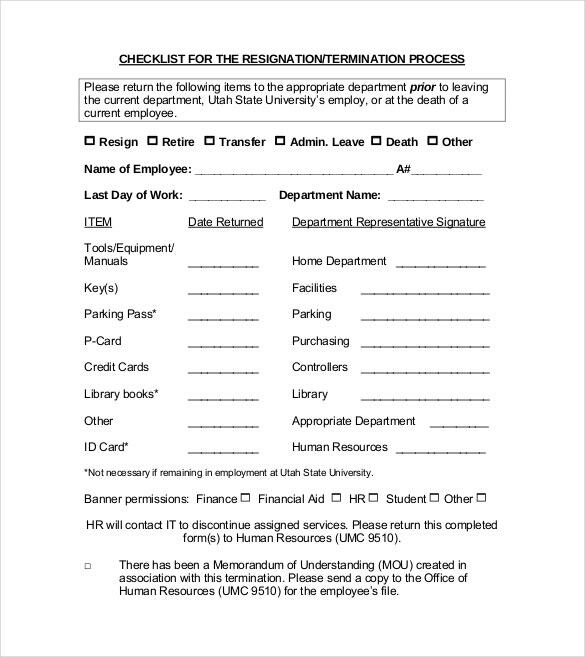 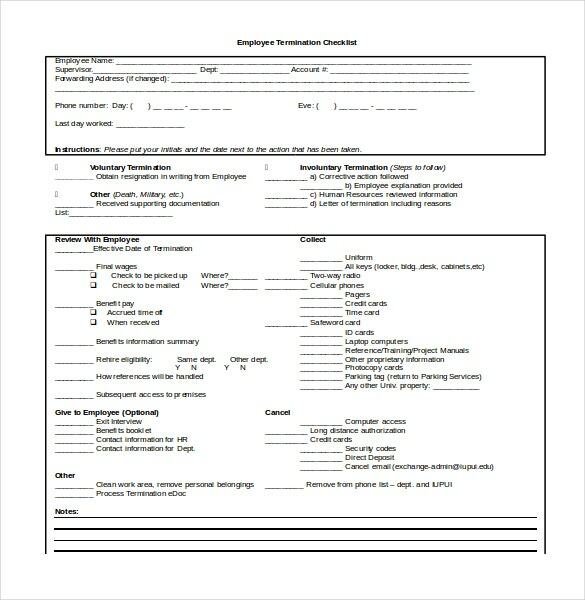 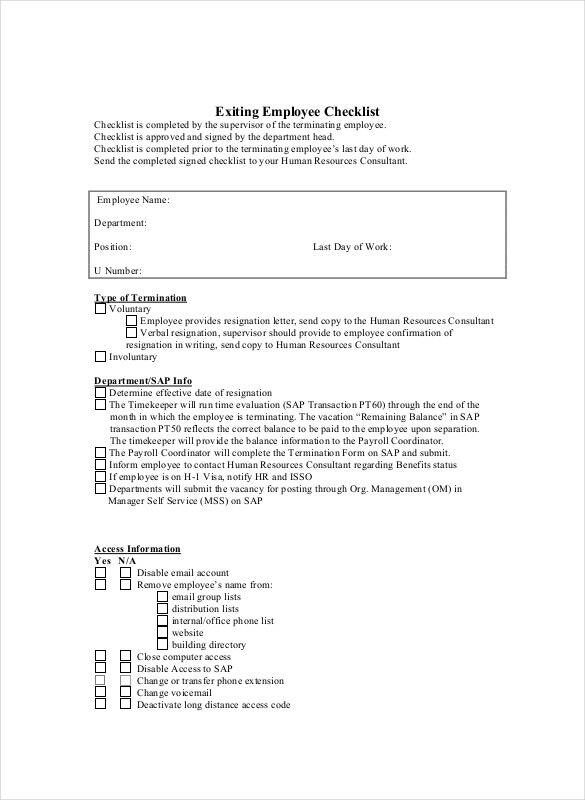 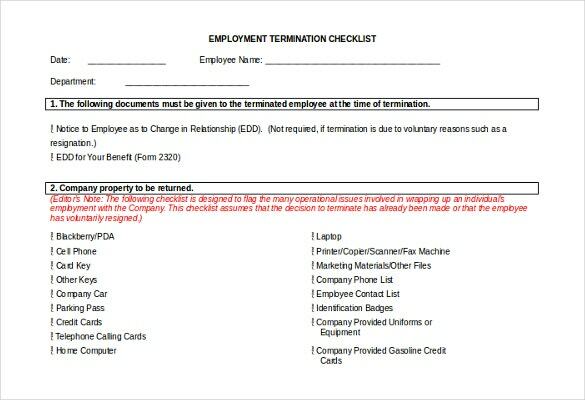 Termination Checklist Template – 19+ Free Word, Excel, PDF Documents Download! 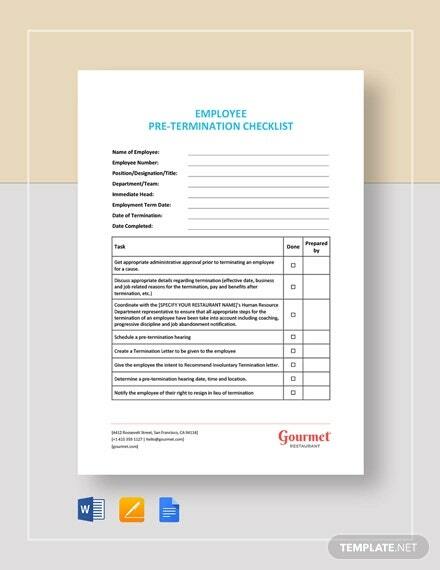 A termination checklist samples PDF Word can go a long way in protecting both the employee and the employer. 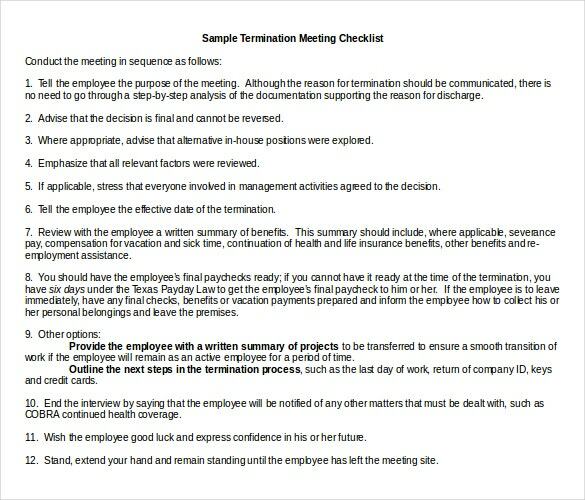 It is an important list of what you should do and what you should not do in case of a termination. 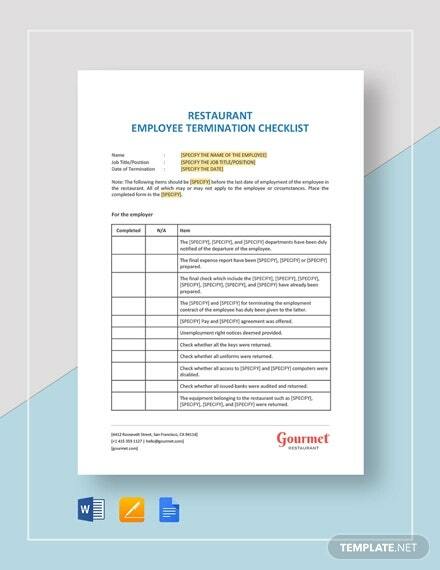 Every employer needs this checklist to prevent a wrongful lawsuit and every employee should know about it in order to protect himself or herself from wrongful termination. 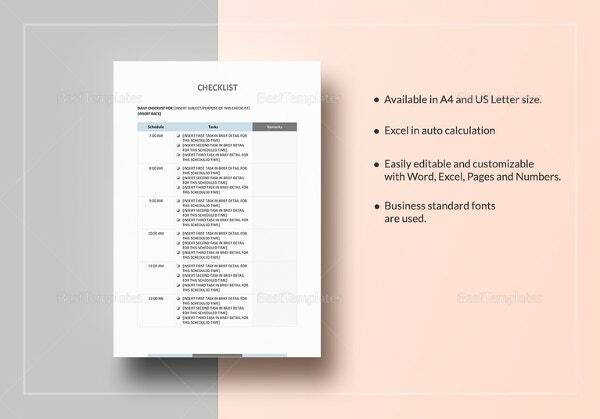 You can also see Moving Checklist Templates. 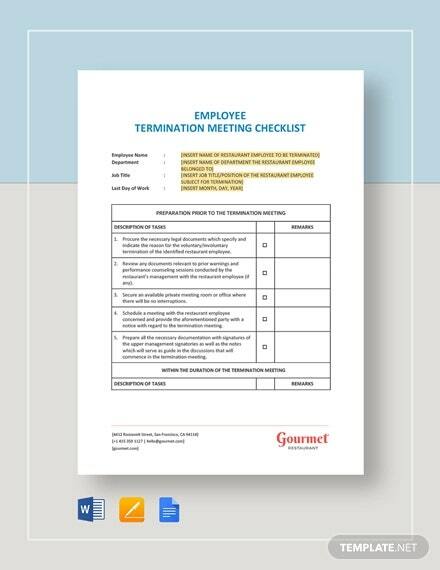 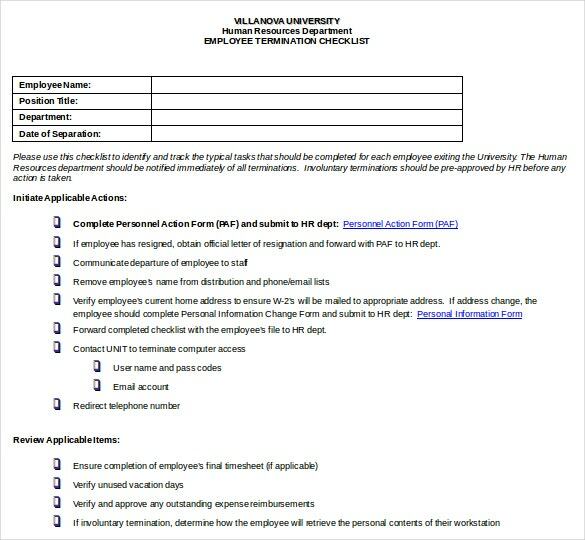 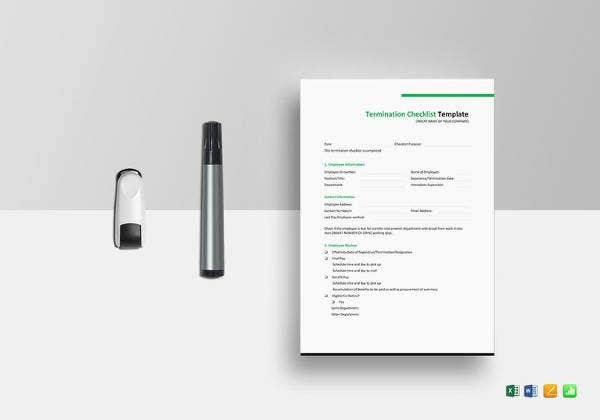 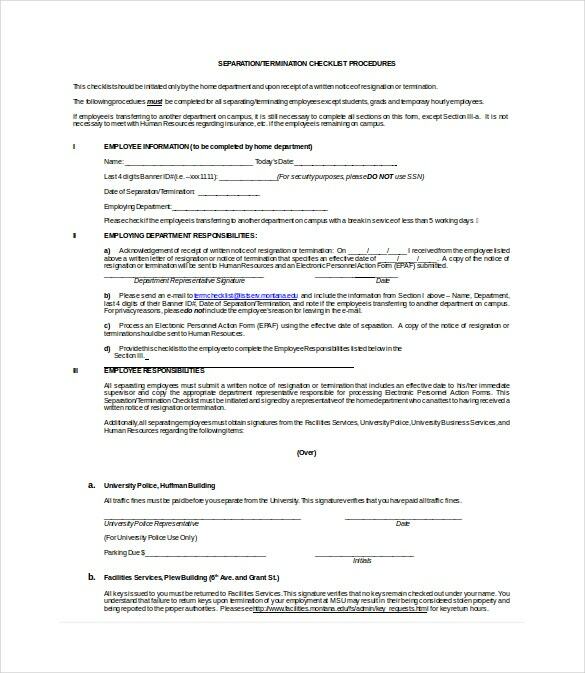 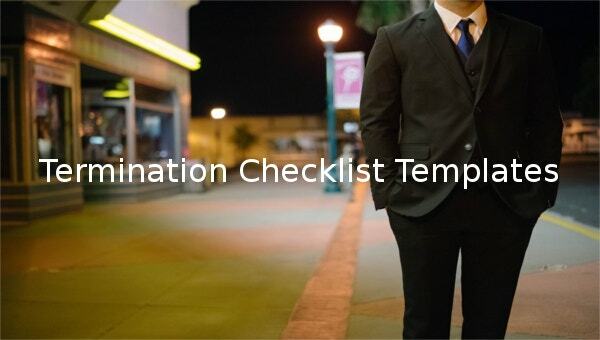 A termination checklist template will make the transition process easier for both parties regardless of whether the termination is voluntary or not. 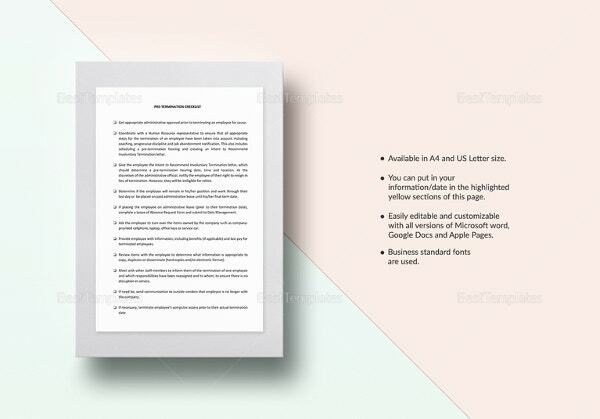 You need it to protect your company’s rights as well as the rights of your employees. 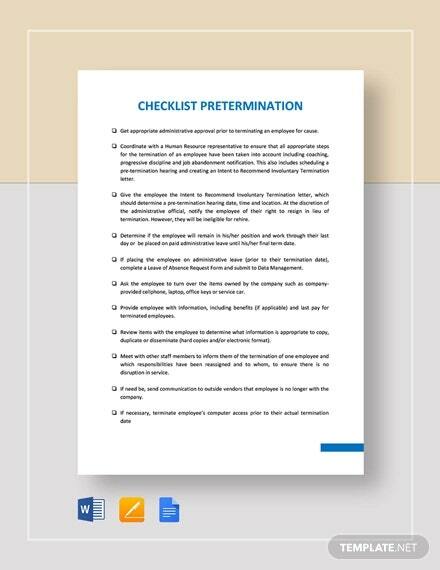 You can see Checklist Templates.